It was with great excitement and trepidation that I set out on my Compass Campus Day to make something out of wood…in a single day. The trepidation was around how these sorts of handyman projects typically go for me. 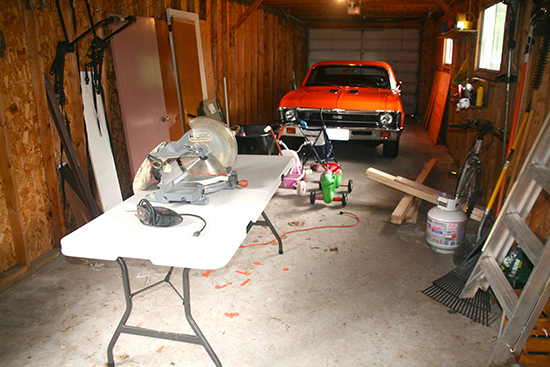 As a kid the workshop was not a familiar place. My dad was so busy, if something had to get done, he’d hire a professional. And now, on the odd occasion that I do set out to make something, I am usually thwarted by inexperience, lack of tools, Murphy’s Law and a basic under-estimation of how hard this stuff can be. Woodworking has always been an interest, while also completely intimidating me, and the artist in me was tapping my shoulder saying, “Hey, remember when you used to make things?” I decided it was time to give it a try. 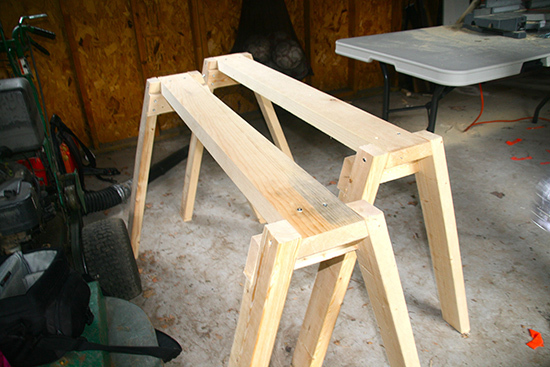 The Plan I settled on building two sawhorses. Every artist needs a workspace and so my first project would be to make the table that fills that space. I figured if I enjoyed it and didn’t cut off my hands, then I’d have a place to tackle future projects as well. To build them, I would have to use the Costco folding table — just this once. Scouring the Internet for a design I could execute, I found one that had some degree of difficulty around fitting angled cuts together, but was simple enough to do in a half day or so. That would be the second half of the day. 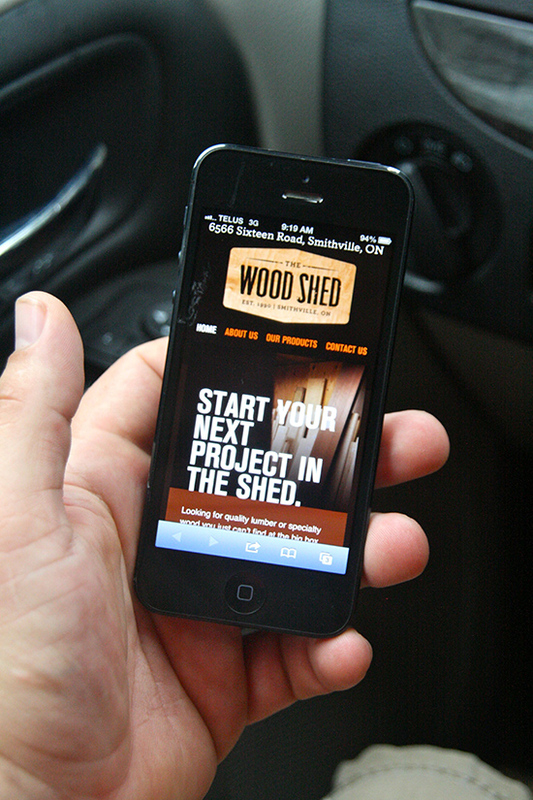 The first half of my day would be spent on a field trip to The Wood Shed. 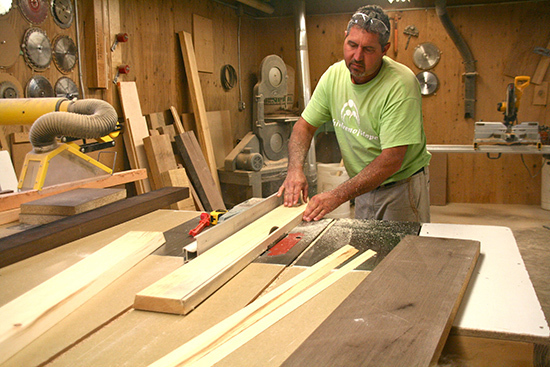 Last year, we began working with them and I discovered what can only be described as a woodworker’s candy store. The Execution So I started my day driving out to Smithville, ON, and the morning was spent browsing the huge selection of wood, choosing some pieces — one for this project, one for the next — and getting a few cuts done that I knew I didn’t have the tools for. After a quick lunch I stepped into my mostly empty shop (who has time for woodworking?) and got down to business. The mitre saw I borrowed from my neighbour without instruction was intimidating at first, but after watching a couple videos on youtube I had it figured out. I also used a jigsaw and Skilsaw at different stages. 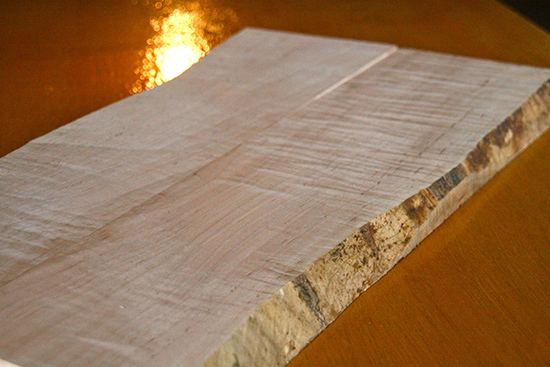 The Results The sawhorses took me about four hours to complete, leaving only enough time to cut my awesome piece of curly maple in half for the cutting board I want to do next. In some ways, the project was easy and simply required my attention and some time. In other ways it was difficult — fighting the idea that I couldn’t do this because I’m just not mechanically inclined. I had a few extended moments where I had to stop and stare at my pencil markings and mitre saw after making the wrong cut to figure out the way forward. In the end, with a few stripped and jutting screws for good measure, I got the job done. 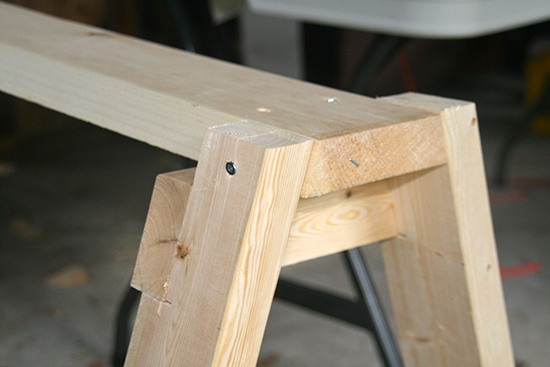 Looking at the sawhorses, I feel a sense of accomplishment. They’re not perfect. Uninspiring to most I’m sure, but to me they’re a start. It may be years before I can devote any real time to this, but I can say that my interest has been sharpened. More than that, it reminded me how I started in this business. As a kid, instead of tinkering with tools, I had a sketchpad, a pack of pencil crayons and my imagination. That matured into a graphic design education which lead me to marketing. 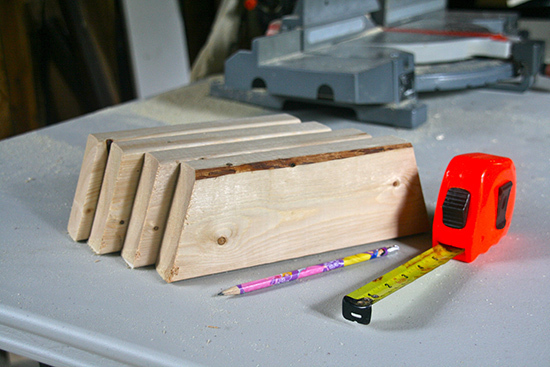 In a way, working with wood for a day affirmed that I’m in the right place, doing what I’m meant to do. But no matter where life’s path takes me, I need to remember to find time to make stuff. There’s nothing like it, and that will never change!